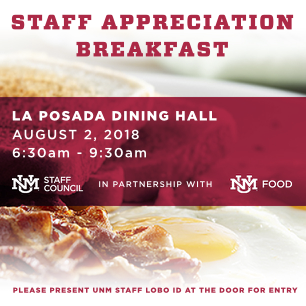 All UNM staff are invited to the Staff Appreciation Breakfast! Please bring your staff ID. Courtesy of UNM Staff Council in partnership with UNM Food.